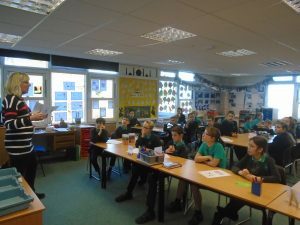 Year 5 have been given a masterclass in marketing this week by Mrs Plummer, who owns her own marketing firm. She explained how important it is to create effective branding for their chocolate companies and ensure they have targeted the right customers. The children were really enthused to apply her marketing wisdom to their products!